As flies to wanton boys, so now are our heroes to the tabloids, which destroy them for their circulation. Apologies to Shakespeare, for plagiarism will be far from the troubled minds of John Terry, Tiger Woods, Vernon Kay and Ashley Cole. Yet something similar to the Bard's sentiments may just be churning in their once-focused minds and those of their media advisers. Tabloids have been demolishing reputations for decades, but PROs must recognise that the demolition ball of tabloid investigation and invective has never laid waste to such complete swathes of reputation. Terry, humiliatingly stripped of his England captaincy, is now performing so erratically that his England, and even club, places look in jeopardy. Potential sponsors have run a mile. Woods has been toppled from the plinth marked World's Best Sportsman and forced to bare his soul at the World's Weirdest Press Conference. There remains no sign of a return to sporting action or of fresh sponsorship deals. Cole's marriage is over and there is talk that he could be sold by Chelsea FC, while Kay's marriage and career have been jeopardised by the publication of intimate text messages to women other than his wife Tess Daly. It is no coincidence that these deadly exposures have come as the pressure for privacy grows. Newspapers are determined to fight encroachments on their circulationboosting ability to expose high-profile figures whose private conduct sits at odds with a public position. Terry, Woods, and Cole are all deemed through their sporting prowess and their commercial endorsements to be role models. And a role model who misbehaves is deemed to be fair game for a circulation-boosting expose. But now as the war over privacy rages between editors and lawyers - with little comprehension shown by each of the other side's position - the casualty rate is soaring. Newspapers brandish the scalps of Terry, Woods et al in the faces of legislators to demonstrate the need for press freedom. In this bloody climate, those with reputations to protect may be well advised to turn to PR advisers first and privacy lawyers second. 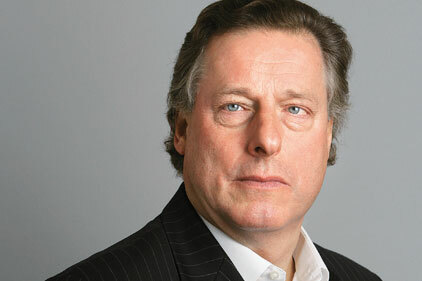 - Ian Monk is founder of Ian Monk Associates and a former executive at the Daily Mail and The Sun.